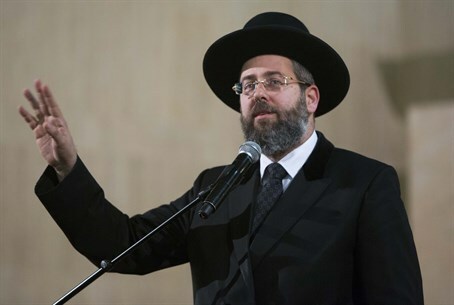 Ashkenazic Chief Rabbi lauded for breathing 'a new spirit' into the rabbinate, after helping an agunah end her 14-year struggle for divorce. After a happy ending last week to 14 years of a husband's refusal to grant a get (Jewish divorce), Attorney Batya Kahane-Dror says she welcomes the "new spirit" that Rabbi David Lau has brought to the Chief Rabbinate. The case at hand involved an Orthodox man from Jerusalem who demanded, for 14 years, that his wife pay him for a get. Nothing budged him from his stance: Not the fact that the child support that he refused to pay during the 14 years added up to much more than the half of their joint apartment that he demanded; not six months in jail; not his repeated losses in court in various suits he brought against her; and not even evidence showing that his personal habits were not quite "conducive" to normal married life. However, once Rabbi Lau got involved, the situation changed – and within a short time, the man handed his wife the long-sought get. Atty. Kahane-Dror, the wife's lawyer, has nothing but praise for Rabbi Lau: "He has brought a new spirit of cooperation that is helping to relieve many cases of 'chained' women. Just the very fact that he works together with our organization [www.mavoisatum.org] is a welcome change." Asked to explain what precisely Rabbi Lau did in this case to bring about the desired divorce, she said, "He simply realized that there was absolutely no reason for the woman to pay her husband for a divorce. He gave this clear message: If a marriage breaks up, a careful accounting and fair division must be made, and the woman must not be made to pay extra simply to receive the divorce. This, unfortunately, was not the approach taken before Rabbi Lau came along." Asked to give another example of Rabbi Lau's contribution to solving stuck divorce cases, Kahane-Dror said, "Just two months ago, there was a man who had refused for eight years to give a get. Rabbi Lau sat with the man for hours, looked him in the eye, asked him to consider their joint daughter – and it worked. True, the woman did end up paying something, but only about an eighth of what the man originally demanded." Kahane-Dror acknowledged that there are cases in which it is the woman who is on the blackmailing side: "Clearly there are cases like this and cases like that. I personally would not represent a wife who was unfairly trying to get money from her husband."